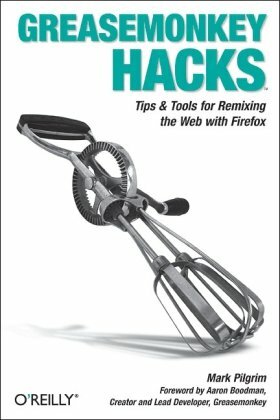 Greasemonkey Hacks is an invaluable compendium 100 ingenious hacks for power users who want to master Greasemonkey, the hot new Firefox extension that allows you to write scripts that alter the web pages you visit. With Greasemonkey, you can create scripts that make a web site more usable, fix rendering bugs that site owners can't be bothered to fix themselves, or add items to a web site's menu bar. You can alter pages so they work better with technologies that speak a web page out loud or convert it to Braille. Greasemonkey gurus can even import, combine, and alter data from different web sites to meet their own specific needs. This book presents research work ranging from controlling the activities in virtual world to optimization of productivity in games, from collaborative recommendations to populate a computational environment with autonomous hypothetical reasoning. Create engaging 3D applications for the Web with HTML5 and the emerging web graphics standard, WebGL. With this book, you'll learn hands-on how to take your website's production value to a new level by incorporating 3D models and animations.